Mobile devices have become essential in our lives. Smartphones and other mobile devices are being used widely for internet browsing. It is becoming increasingly important that your website is optimized for these mobile devices. 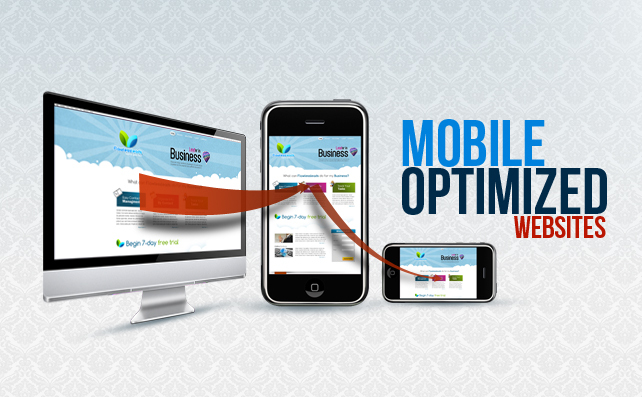 Mobile optimization of your website will bring about increased traffic and consequently sales for your business. So if you have not already taken steps in that direction, then it is high time you did that. If still not convinced, just casually look around and notice how many people are glued to their smartphones. What do you need to check to ensure that your website is mobile optimized? * Statistics show that of the internet users, almost 50% are only mobile-searchers. They are increasingly using it for research and also for shopping. That means, majority of your customers’ first impression of your site is on a mobile. So your website needs to be compatible for mobile screens. * People are searching on the go, and are impatient by nature. A slow loading site will never be tolerated by those searching on the mobile and they will be prompted to go on to your competitor sites. * Cut down on redirects as far as possible. If a user accesses a certain page through the search engine and is directed to a different page, then that is considered a bad user experience. * Too many images also slow down the page speed. Try to avoid over-loading the pages with images. Not all mobile devices are flash compatible; if your site increasingly uses flash, then cut it down. * When designing your website pages, check them on a mobile device too to see how it appears on the smaller screens. * Do not have long running text on the pages. People do not have the patience to read through. If it is vital information, include them in point form so that the readers do not miss out on them. Atleast the important part can be highlighted and the readers who are interested in further details can read through the rest. * Try and keep navigation to the minimum. Best way is to ask yourself what would any customer visit your site for and highlight that information strategically. * Be open to feedback. Your customers are the best critics and so listen to feedback from them; their complaints and appreciations will guide you and incorporate changes to your website if needed. * If you have not yet designed a mobile version of your website, then you could visit other sites that have already done it and learn from the best ones and avoid the worst mistakes. * What rules apply to traditional search engine optimization applies to mobile optimization too. So ensure that your website meets all the standards appropriately. In the years to come, mobile devices will surely leave the PCs behind and will become the most used to access internet. The responsibility now lies on the shoulders of the business owners to make the most of this opportunity to reach out to the potential customers who will surely make use of the mobile phones to access the internet.